We are committed to providing our clients with the strongest defense against the charges they are facing. Turn to The Frey Law Firm, PLLC to schedule a free initial consultation. Earlier today, Paul Manafort was ordered detained by a federal judge after his bond was revoked for violating the terms of his pretrial release. Pretrial detention can have a significant impact upon the strategy employed during a case, as well as the ultimate outcome. One big consideration in a criminal case is whether a defendant will be granted the opportunity to be placed on bail during the pendency of the matter, or whether the defendant will be detained pending trial or resolution. 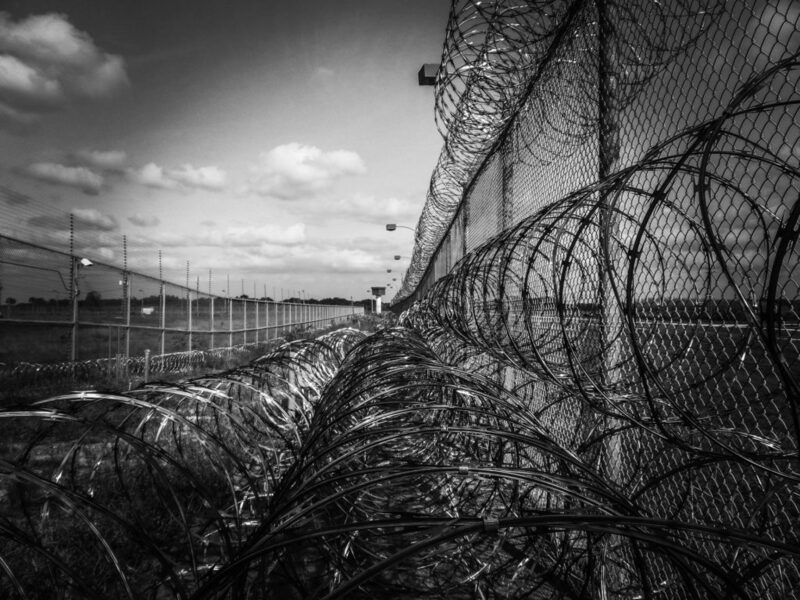 The stress, inconvenience, fear, and uncertainty that naturally accompanies a criminal charge is exponentially amplified for many defendants when they are detained during the pretrial process. This is especially true for first-time offenders. Although every circumstance is different, detention generally has a negative impact upon both the defendant and the effectiveness of the attorneys involved. Communication between defense counsel and the defendant becomes extremely difficult and challenging. The logistics associated with setting up and scheduling meaningful meetings with a client at the detention facility raises logistical and administrative issues. Meaningful and productive communication with the client becomes much more time consuming and much more costly. Rather than simply meeting within the comfort of the attorney’s office, meetings within the detention facilities can occur only after going through a series of security steps that take up valuable time. Further, depending upon the location of the facility, counsel must travel for the meeting. In cases that are being billed at an hourly rate, this travel and the various security checks that occur upon arrival at the institution can add to significant increased costs. Rather than meeting within a comfortable law office, meetings within detention centers are often within rooms that are small and cramped with little ventilation, no natural lighting, and with uncomfortable chairs and damaged tables. Often, the privacy is limited as communication often can be heard through the walls. Again, every institution is different, but it is quite common to overhear portions of multiple conversations eminating from various meeting rooms. Rather than being relaxed within the comfortable atmosphere of a law firm office, where drinks and snacks may be available, defendants who are subject to pretrial detention do not have any such luxuries and, generally speaking, neither do the attorneys. For instance, if you are in a lengthy meeting and want a coffee, you probably will not have any access to anything of the sort. These may seem like minor details, but, the environment definitely has an impact upon the ability to focus for both the attorney and the client. Experts are often utilized within the criminal justice system. Whether it is a computer forensic expert who is called in to conduct a forensic examination, a firearm expert who is retained to test evidence in a case, or a forensic psychologist who is conducting examinations for purposes of mitigation, experts can play a vital role and they are often notoriously expensive. When a client is detained, the experts and consultants on a case face many of the same logistical challenges that the lawyers face, and often many more. For instance, experts often have equipment or materials that they need to bring into the institution in order to consult with the client or conduct an examination. The experts often are retained and billing at an hourly rate. If it takes them an hour to travel to the institution, thirty minutes to go through security, thirty minutes of waiting while the client is brought in, thirty minutes to exit back through security and another hour of return travel, that time and cost adds up very quickly. Pretrial detention is jail and jail is, well, jail. Defendants who are subject to pretrial detention learn very quickly that their freedom has been taken from them. Their ability to simply avoid individuals they would rather not associate with or be around is limited. They do not generally have any say in who they are assigned to live with or around. As a result, those who are detained are often impacted by the fact that they are surrounded by other inmates who they may, or may not, get along with. This adds stress to an already stressful situation. When detained, the Defendant is isolated from family and friends. Although visitation schedules can be approved, there are generally significant limits on who may visit, when they may visit and for how long they can visit. Further, often the visitation is between glass dividers and over the phone. The conversations are often subject to monitoring and recording. In essence, there is generally no privacy. This isolation has an impact upon the defendant who is often going through one of the most stressful times of life. If a defendant was employed prior to detention, that employment almost always ceases at the moment of detention. As a result, the detained defendant is not able to earn income. At a time when income may be most needed in order to finance the defense lawyers, the experts and provide for family, this can have a very profound impact upon the direction of the case. Clients who are able to remain on bond and continue with their employment have many advantages. They are in a better position financially and they are in a better position with respect to mitigation. If a case takes two years to resolve, there is a great benefit to the Defendant who can appear at sentencing, or before the court, and demonstrate a commitment to gainful employment and actual gainful employment despite the circumstances of the pending litigation. Whether guilty or innocent, pretrial detention can too often take the fight out of a defendant. They often are left feeling isolated, out of resources, disconnected and hopeless. I suspect that the environment within which they are placed impacts their decision making to a great extent. Again, not all cases or defendants are the same, but I often find that Defendants become anxious to reach a resolution as they await trial in a detention facility. This is especially true when they have served a significant amount of time awaiting trial and may not have much more to go if they accept a plea offer. With respect to the Paul Manafort case, only time will tell as to whether pretrial detention will factor into his decision-making process as to whether he will enter a plea or go to trial, or whether he will choose to attempt to cooperate in some way with the federal investigators. It is vitally important to have an attorney on your side and prepared for the bond hearing. Whether or not a defendant is detained or released during the pretrial proceedings can have a significant impact upon the direction of the case. If granted pretrial release, it is important to understand the terms and conditions and to follow them. As demonstrated in the Paul Manafort case, the alternative is the bond being revoked and detention until resolution. If you or someone you know has a question or issue pertaining to a criminal case or a bond issue, please do not hesitate to contact The Frey Law Firm for a consultation.